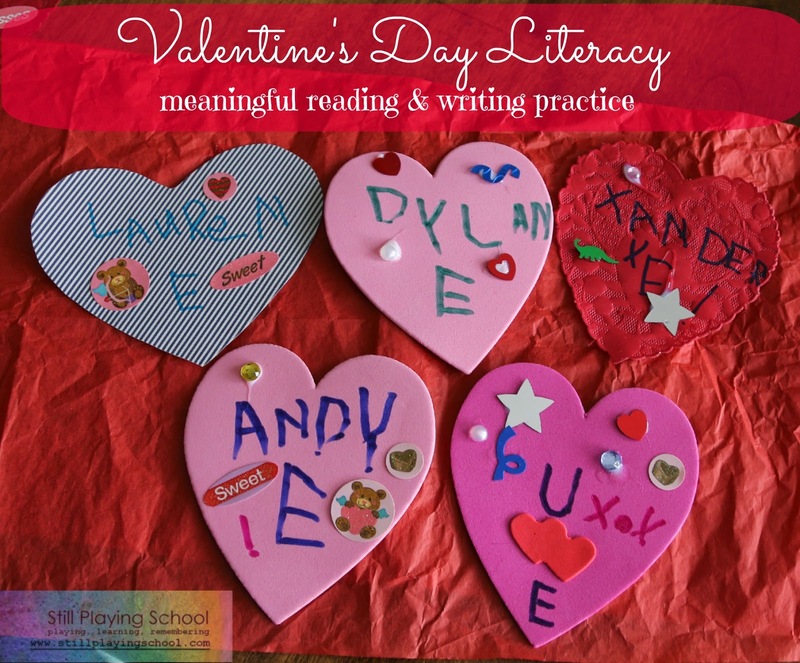 Valentine's Day is a lovely time for emerging readers and writers to practice their skills! When addressing, signing, and delivering cards children are beginning to recognize some of the most important printed words: names! You can write the recipient's name on the valentine for them while having a conversation. "I love this card that you made for Nannie! Her name starts with an N so I am going to write an N at the top so we remember that this one was made just for her!" 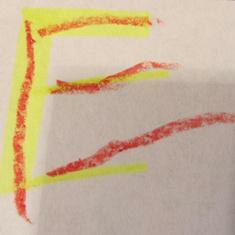 A helpful adaptation for emerging writers: Write the names with a highlighter and let your child trace over them. By school age, I recommend letting children write both their friends' names on the cards as well as signing their own name. Break this work into enjoyable and manageable chunks by doing a few each evening for a week. Take time to discuss each friend and his/her name as your child writes it: "Matthew's name starts with an M just like your name! Which card will you choose for him?" "You told me that you like to play with Julia at recess. What do you do with her?" Having your undivided attention and conversation will make this task even more engaging and rewarding. Children will also have a lot of fun "delivering" the valentines to the correct person by reading the names they have written. You can help with gentle reminders: "Gramps starts with a G. Can you find the heart you made for him? It has a G on it." So helpful! This is where we're at. Thanks for all the helpful tips! 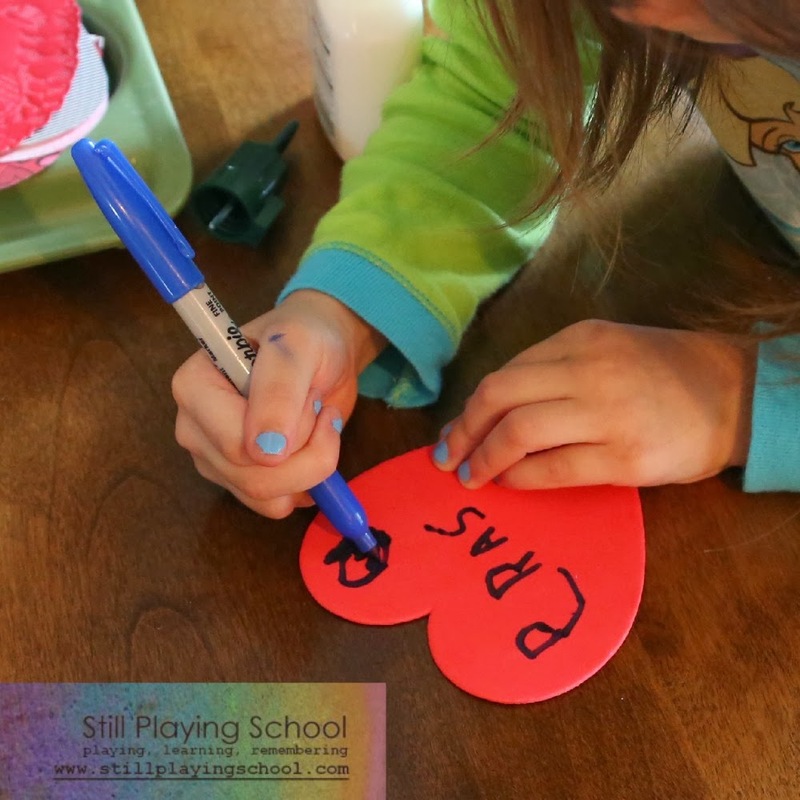 Writing out Valentines are a great time to work on learning to write their own names! Thanks for the suggestions!